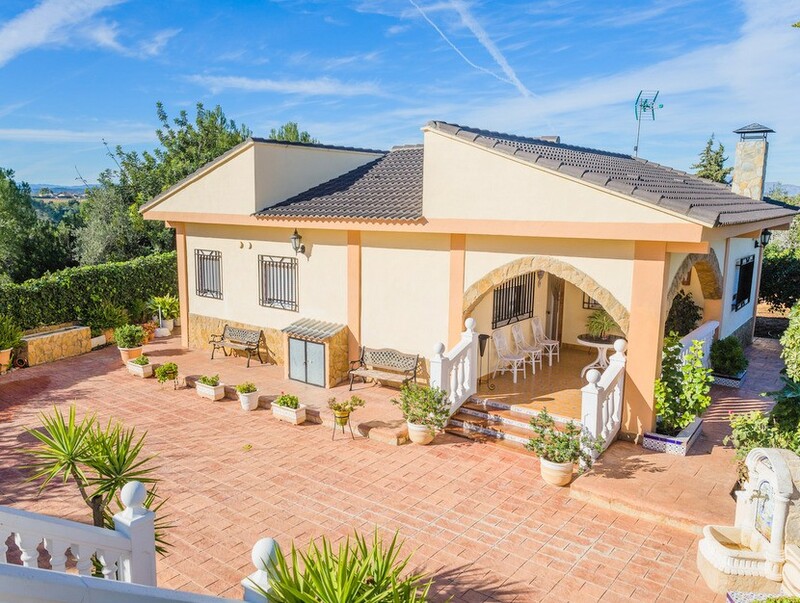 Villa of 150m2, on URBAN plot of aprox 600sqm, situated in residential area, with neighbours all year, public transport close by, near 18 hole golf course, only 5 minutes away from the motorway A3 (Madrid –Valencia) and A7 (Alicante-Barcelona) 15 minutes to the airport and 20 minutes to the city. 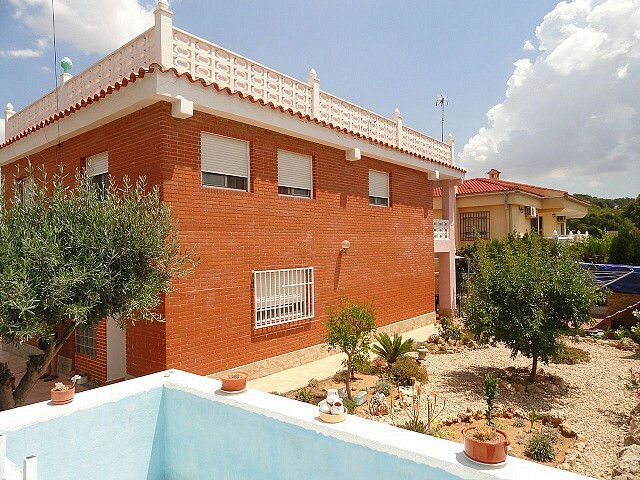 The house has on lower floor, covered terrace, direct entrance to living-dining room with chimney, spacious kitchen dining area with exit to exterior, 1 bedrooms and bathroom with shower. On 1st floor, 2 spacious bedrooms and refurbished bathroom with walk-in shower. Outside is the pool with filter system, solarium with bar and BBQ area, 2 parking spots under carport with electric gates. Central heating with mains Gas, property was painted inside and out 2 years ago. 5 minutes to bars and supermarkets. Ideal to live all year.